Idaho Chicken Ranch: Rock 'n Roll Neon Bowling! Sometimes when sister visits we go on a little road trip, but this time we decided to stay local...but still stayed quite busy! 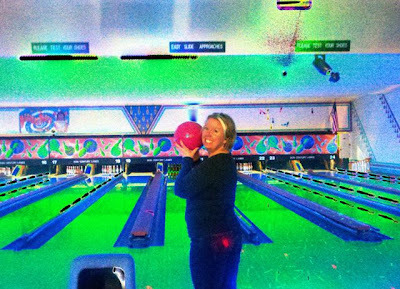 One of the fun things we decided to do with our day of was...bowl! 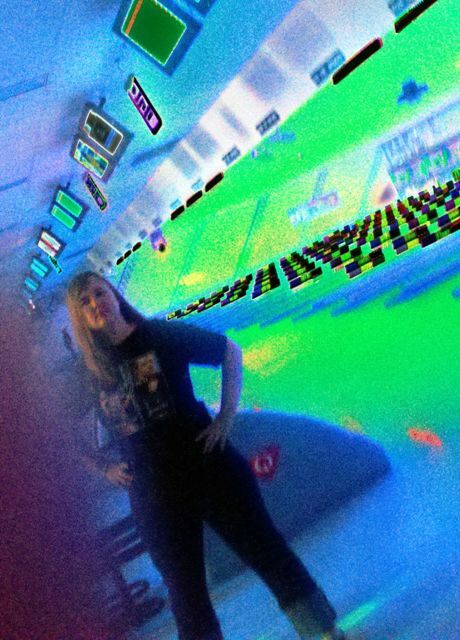 Plus we got the rock 'n roll neon bowling for free in the middle of a Friday afternoon! There was some company event going on at the other end of the alley. Score! Ah yes. Bowling shoes. Eww. The lady tried to get us to get a frequent bowler card. I said "I bowl like once every 5 years." Sister said "I don't even live here." The lady was not amused. Luckily we find just about every single thing under the sun hi-larious. Sister is a much better bowler than I am.